During his nearly 19 years of industry experience, Chris has directed and managed national sales programs for Fortune 500 firms throughout a variety of verticals. Prior to leading business development efforts at Trelevate, Chris managed several telecommunication programs as an outsourced business partner for AT&T and CenturyLink/Qwest. He has held top positions with CRM Solutions, LLC and was the principal owner of Signal Communications, Inc. – an outsourced sales company focused on B2B sales. He has a Bachelor of Business Administration, Marking from Merrimack College.  As the VP of Sales Operations for Trelevate, Chris is responsible for orchestrating sales programs – from concept to execution – and evaluating programs for maximum ROI. Whether developing a new sales channel or redeveloping an existing team, Chris helps clients acquire new customers while maintaining the highest integrity and standards within the industry.